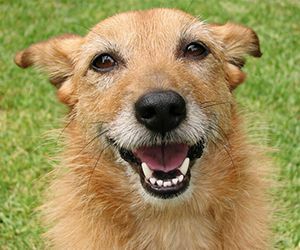 Eighty percent of dogs have some form of periodontal disease by the age of three, according to the American Veterinary Medical Association. If left untreated, this can lead to serious health problems, as bacteria from infected gums and teeth spread to the heart, kidneys and other vital organs. 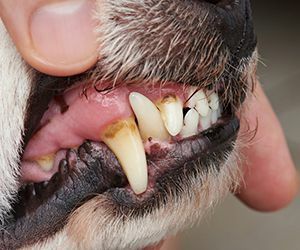 Fortunately, canine periodontal disease is largely preventable with a good program of oral hygiene that includes regular plaque removal and annual veterinary dental checkups. But although more than three-quarters of pet parents (76%) think it’s important to brush their dogs’ teeth regularly to remove plaque, only 8% do so daily, while 43% say they never brush their pet’s teeth at all, according to a study by market research firm Ipso. Clearly, there’s a need for pet dental care alternatives to toothbrushing that are easy to administer. 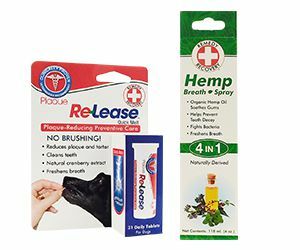 Now Cardinal Pet Care is filling this need with two new “brushless” products that will help pet parents give their dogs and cats the at-home oral care they need: REMEDY+RECOVERY Plaque Re-Lease™ Quick Melt tablets, and REMEDY+RECOVERY Hemp Breath Spray. REMEDY+RECOVERY Plaque Re-Lease Quick Melt is a unique product in tablet form that reduces plaque and tartar without brushing. Pet parents simply place one Plaque Re-Lease tablet inside the cheek, where it will remove plaque and tartar as it dissolves. The tablets contain all-natural cranberry extract, which adheres to dental surfaces and interferes with the plaque forming process. Recommended by veterinarians and clinically proven effective, Plaque Re-Lease tablets work below the gum line to clean dogs’ teeth and freshen breath – no brushing required. REMEDY+RECOVERY Hemp Breath Spray, provides preventive dental care in spray form. Regular use of the spray will improve oral health by helping to prevent tooth decay and fight bacteria. Made with safe and gentle ingredients, the multi-functional spray contains Hemp to soothe gums, Natural Peppermint Oil to freshen breath, Natural Baking Soda to rebalance pH, and Manuka Honey to provide natural antimicrobial properties.